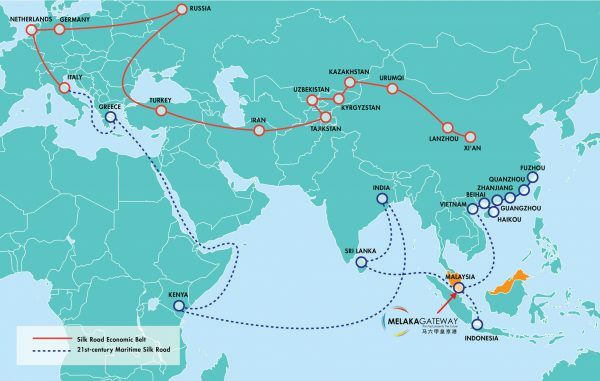 During the Chinese President Xi Jinping’s visit to Central Asia and Southeast Asia in 2013, he proposed a new initiative called “New Economic Belt of the Silk Road” and the “21st Century Maritime Silk Road” – now referred to as the One-Belt One-Road economic development strategy. These initiatives called for the integration of the Asian region into a cohesive economic area. The ultimate goal of this initiative is connectivity through infrastructure development. The ancient Silk Road spanned East Asia, South Asia, West Asia, Southeast Asia, Middle East and Europe. The One-Belt One-Road initiative covers 65 countries, 41.3% of the world’s total area and 60% of the world’s population (4.4 billion). It covers developing areas with GDP per capita exceeding US$10,000 (RM40,238) and will provide a conduit to share prosperity in the dynamic world of today. The One-Belt One-Road regional economic expansion will shower abundant trade opportunities and development on Malaysia’s ports, railways and airports. Melaka Gateway has been earmarked as a key port of call along this route. Minister of Transport China, H.E. 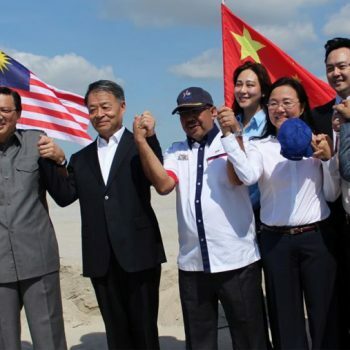 Yang Chuantang said, “With Melaka as the forefront flagship in support of the One-Belt One-Road programme initiated by the People’s Republic of China, we will soon taste the fruits of success, especially with the plans for infrastructure, China is confident in Melaka Gateway’s project”. 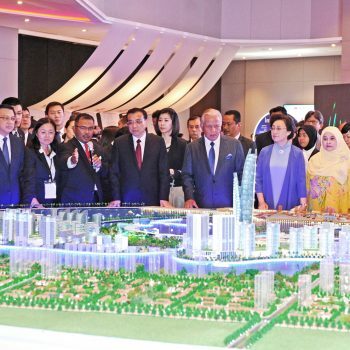 The strategic masterplan of Melaka Gateway’s development aligns with the principles of OBOR as strategized by China, on improving road connectivity, promoting unimpeded trade, enhancing monetary circulation, accelerating policy communication and increasing understanding between people-to-people relations. Melaka Gateway, as the premier development along this international economic corridor, is expected play the role of catalyst and to drive Melaka’s prime position under this initiative. With this development, Malaysia is well-positioned to reap the economic benefits. With the grand and visionary OBOR initiatives, these will surely present many more opportunities for Melaka and Malaysia as a whole. KAJD welcomes world citizens and investors to Melaka Gateway – where a glorious past, presents itself as a world-class city of the future. China’s ambitious initiative will not only change global trade but will also have an impact on the region’s politics and culture. China’s One Belt One Road (OBOR) bilateral trade with Malaysia to hit US$160 billion.